Incredibly versatile, mix PhD Diet Whey Powder with yoghurt to make a delicious dessert, or combine with porridge oats or pancake mix for a tasty & filling breakfast. Blend 25g PhD Diet Whey Powder Chocolate Mint with 175ml cold water. Use 2-3 servings daily to help support adequate protein intake. Take any time of the day pre- or post-workout. 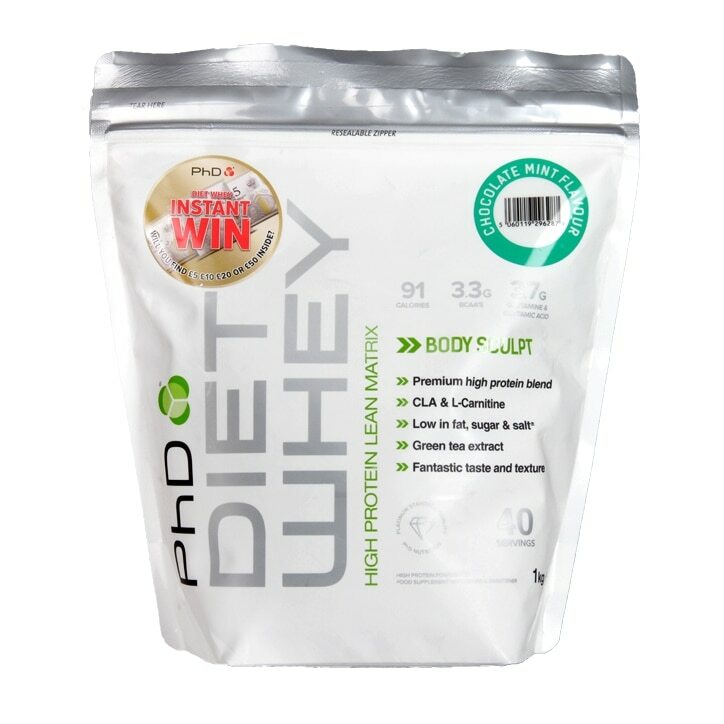 PhD Diet Whey Powder Chocolate Mint is rated 4.6 out of 5 by 40. Rated 1 out of 5 by Easyfabs from Not for me. I really do not like the taste, but reading other reviews maybe its just me!! Ill be sticking with the slim fast shakes . Just glad i brought it on offer so doesn't feel like i wasted to much money.